Refurbishment of buildings can entail giving outdated buildings a new purpose with an upgrading and reconfiguration that goes beyond the cosmetic. Increased environmental awareness means that, rather than throwing away, we are increasingly being advised to recycle and re-use. This ethos is also increasingly being applied to buildings. Rather than knock down and start again, the option to recycle and re-use buildings is being examined more carefully with a view to gaining time, cost and embodied CO2 savings - as it may prove more carbon efficient on a whole life basis to re-use what is already built. This philosophy can offer operational CO2 savings too as the heating and air-conditioning requirements of the refurbished buildings are reduced. 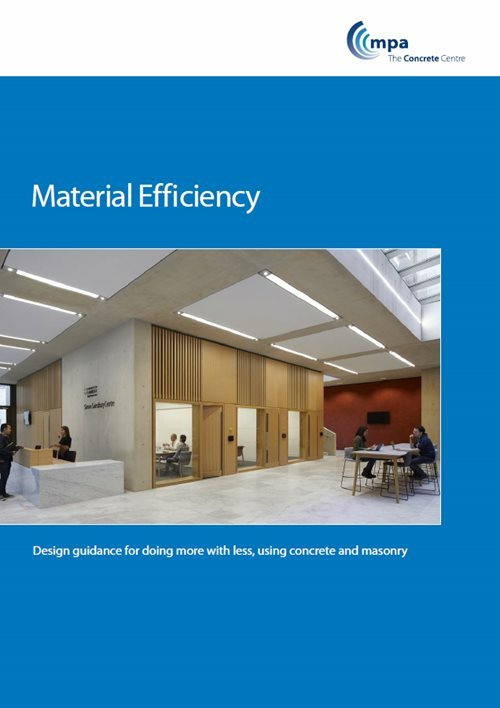 Concrete’s inherent robustness, flexibility and minimal need for additional finishes mean that concrete buildings are particularly well-suited to the ethos of reuse. They can easily be updated and future-proofed to meet the differing demands of occupiers and predicted impacts of climate change. However, should a concrete building be deemed unsuitable for retention and refurbishment, its concrete structure and reinforced steel are easily recycled. There are a number of case study examples of buildings being reused; Elizabeth II Court in Winchester, 55 Baker Street in London and Park Hill in Sheffield are just a few.